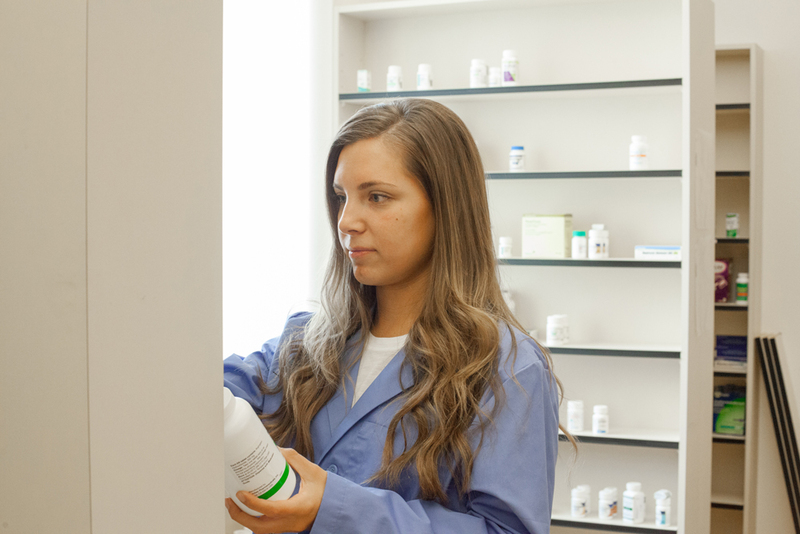 Pharmacy technicians assist and support licensed pharmacists to prepare prescription medications, provide customer service and perform administrative duties within a pharmacy setting. The Pharmacy Technician program includes courses in pharmacy calculation, pharmacy law, and hands-on experience in a lab that mirrors industry settings. Clark's Pharmecy Tech Certificate has been rated as the best in the nation in Washington Monthly's college rankings. As health care becomes more technically complex, the need for individuals with dynamic thinking and problem-solving skills is important. Whether in a pharmacy, clinic, or hospital, pharmacy technicians use their skills to ensure patients’ receive the proper assistance and medication. In recent years, an increase in degreed pharmacy technicians has allowed medical providers to increase the quality of services provided and decrease medication errors. Pharmacy Technicians have a keen sense for detail and work well in a fast-paced environment. Students in Clark’s program learn in a mock Pharmacy lab setting to gain hands-on experience in a controlled environment. Clark College offers a Certificate of Proficiency and expanded Pharmacy Technology curriculum leading to an Associate in Applied Technology (AAT) degree in Pharmacy Technician Leadership. Courses offered for the AAT in Pharmacy Technology focus on developing skill in leadership, business relations, and professional development. With these additional skills aspiring pharmacy technology students gain a significant advantage in securing entry-level positions as well as advancing their career. Employment opportunities for Pharmacy Technicians exist in a variety of medical environments. The U.S. Department of Labor and Statistics forecast Pharmacy Technician jobs growing at a rate of 13%, with a median wage in the Portland-Vancouver metro area estimated at $18.09 per hour.